I shall be travelling to Denmark again this summer to take part in an exhibition of work – Handmade UK – by three British weavers, as part of the Weaving Festival – Denmark 2018 in West Zealand. Scottish tapestry weaver, Joan Baxter, will be exhibiting some of her work, Devon Weavers Workshop member, Colleen Pope, will be showing a selection of her handwoven rugs, and I will be taking some of my exhibition pieces and my new collection of lambswool throws and cushions (currently being developed). 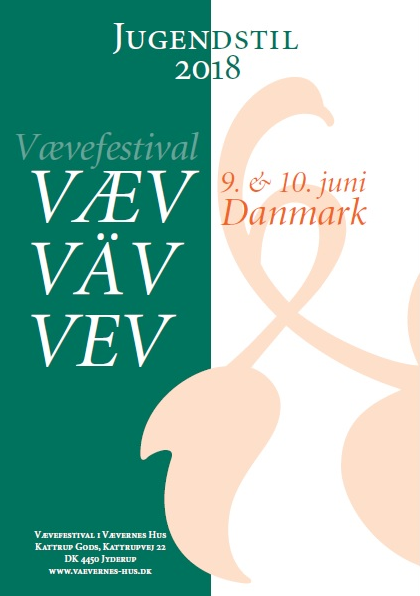 The exhibition will be just one of the many things to see at this year’s festival which takes place at a number of locations in and around Jyderup, including the beautiful Kattrup Gods (see my article Time spent with the The Weavers of West Zealand). at The Weaver’s House, Kattrup Gods. 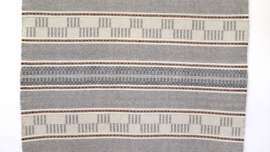 an exhibition at Jyderup Town Hall which includes image weaving, and the woven runners and carpets of ten Nordic weavers, including Birgitta Hallberg, Sweden, Ulrikka Mokdad, Denmark, Hólmfríður Bjartmarsdóttir, Iceland, and others. – yarn windings on frames focusing on colors, materials and composition, at Café Habibi, Jyderup. – an exhibition of the work of 12 young students from Jyderup Højskole, at Lerchehuset, Jyderup. 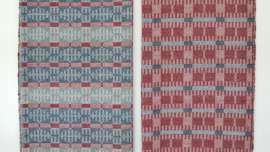 Image weaving with Scottish weaver Joan Baxter. Sunday, June 10th – Tuesday, June 12th, 9:30 to 16:00. 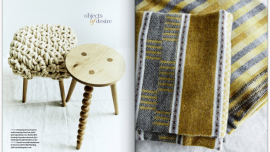 At the Weaving Festival’s marketplace at Kattrup Gods will be: an Indian silk market with inspiring silk man Dilip Barouha, a large wool market presented by Danish and Baltic yarn dealers and in the artisan market, members of Weaving in West Zealand will sell their own products. Michael Graubæk and his band will play on Saturday evening for the Spillemandsbal at Jyderup Højskole. Weave Festival 2018 has its own café at Kattrup Gods, where you can buy lunch, cake and coffee. Ticket prices: 1 day DKK 150 / Both days DKK 300 and can be purchased at the festival or at www.billetto.dk/Vævernes Hus. 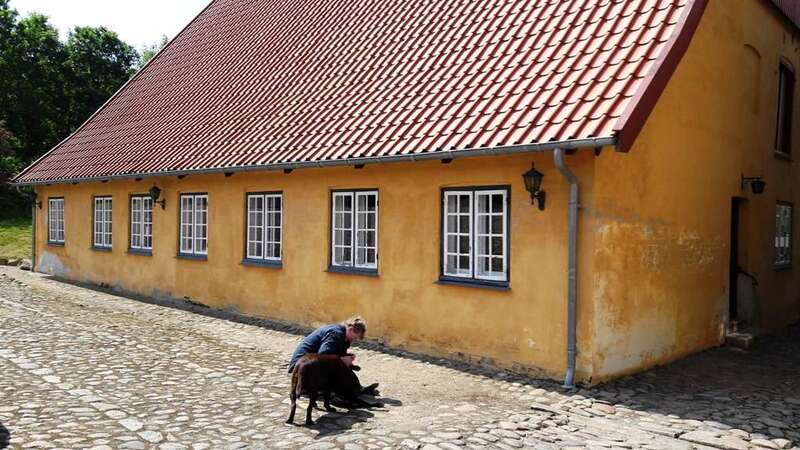 The tickets give access to all activities and offers, both at The Weaver’s House at Kattrup Gods and the various venues in Jyderup, except for the mini-courses which cost DKK 100 and DKK 750. There are good train connections between Copenhagen and Jyderup (120 km from Malmö and 1 hour drive from Zealand’s Odde. If you are based in the UK and would like to go to the Weaving Festival – Denmark 2018, and need some more advice on how to travel please do get in touch with me via my contact page.